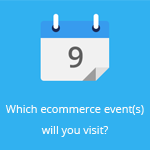 July 23, 2014 by Ecommerce News. About Cross-border with tags Germany, The United Kingdom. 4206 views. Boohoo has launched its website in Germany, making this the fourth European country where it has an online store. The German website follows the launch of Boohoo in Spain back in May and the launch of Boohoo in France nine months ago. The launch of Boohoo in Germany will be accompanied by a marketing campaign. The welcome header on De.Boohoo.com. Boohoo says international sales accounted for more than a third (35%) of its total sales in the fiscal year to February 2014. Since then, two new websites in European countries has arisen, so we’re curious about what this will do with the aforementioned percentage. Boohoo also did not only launched separate country websites, it also added Scandinavian currencies (Swedish Krona, Danish Krone and the Norwegian Krone) to its site, adding to the pound sterling, euro and American, Canadian and New Zealand dollar option that are already available. It seems things go well with the Manchester headquartered fashion group. Launched in 2006, Boohoo quickly went from ‘Manchester’s best kep fashion secret'(as Boohoo.com says on its own website) to ‘one of the fastest growing international etailers’. In March this year, when Boohoo made its debut on the stock market, the company has raised 379 million euros from investors after selling 600 million shares priced at 50 pence. The online retailer made a profit (before financial charges) of about 13 million euros on sales of 116 million euros in the ten months to December 2013.